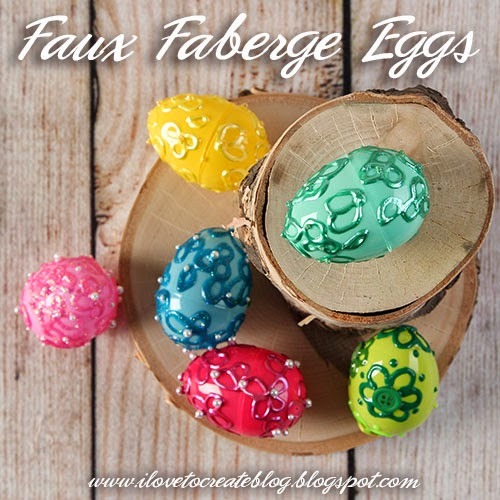 Easter is upon us, and I decided to make some pretty faberge-painted eggs that look really upscale considering they are just plastic eggs and puffy paint! 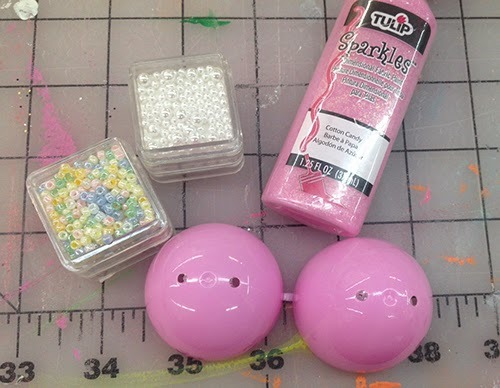 And you just need a few supplies to make these pastel eggs - easy & cheap...I'm all about that! Shake your 3D Paint well and practice a petal design on a scrap piece of paper before you start. 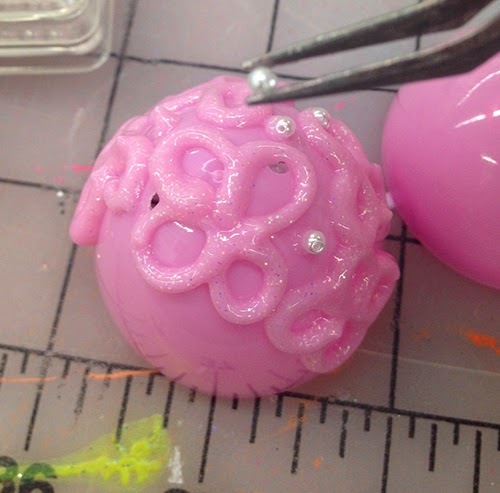 When you are happy with your practice designs, squeeze the petal designs onto your egg. Make them fairly close together and add a small dot of paint in-between each flower! Oh and work on one section at a time so that you can hold your design. Once a section is dry, you can go onto the next! 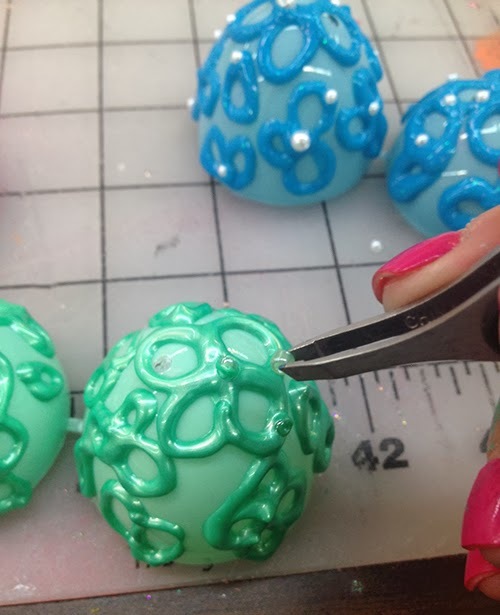 With your tweezers, add the pearls to your little dots between each flower and on a few of the petals! 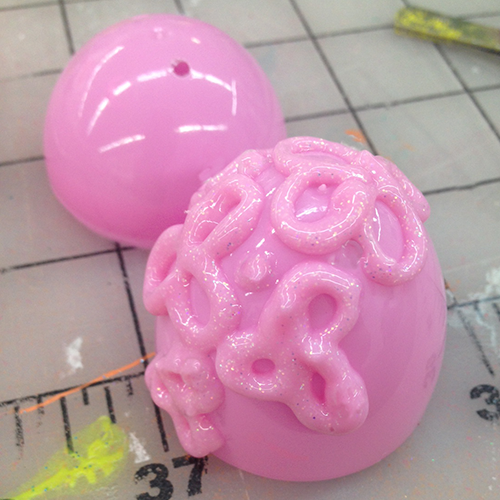 This is a free-form design, so add as many pearls randomly over your painted designs! This is what it looks like finished and unfinished! A vast improvement, I must say! 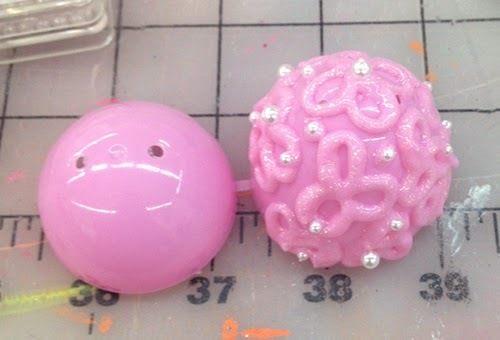 Here's a couple of my other eggs in progress! For the green egg, I decided to use Tulip 3D paint in a pearl finish! I love how dimensional each one of them turned out! These would look so pretty in a dish or hanging from a tree branch! I can't wait to display them!